Engage with your customers across multiple channels and create customized, targeted messages with Swrve’s new email campaigns. Email is one of the most fundamental channels of communication used by people and corporations across the globe. Every day billions of people use email to keep in touch, share information, and register new accounts with interesting brands. Corporations use email to reach out to prospective customers, promote new features, offer discounts, and keep customers informed of upcoming events. As a Swrve customer, you can now gain the benefits of email as a messaging channel using your own email provider account or Swrve’s new email service. As with all delivery channels, take advantage of the Swrve core platform to send hyper-targeted, personalized, relevant emails to your customers. Customer onboarding – Send a reminder email to those customers yet to complete the registration process. We’ve also redesigned and consolidated our campaign workflow! Create and track custom engagement goals, add custom content or use a preconfigured template, define your target audience, and specify exactly when and how often to send messages. Quickly view and act on campaign results using the detailed reports and analytics that are available with all Swrve campaigns. 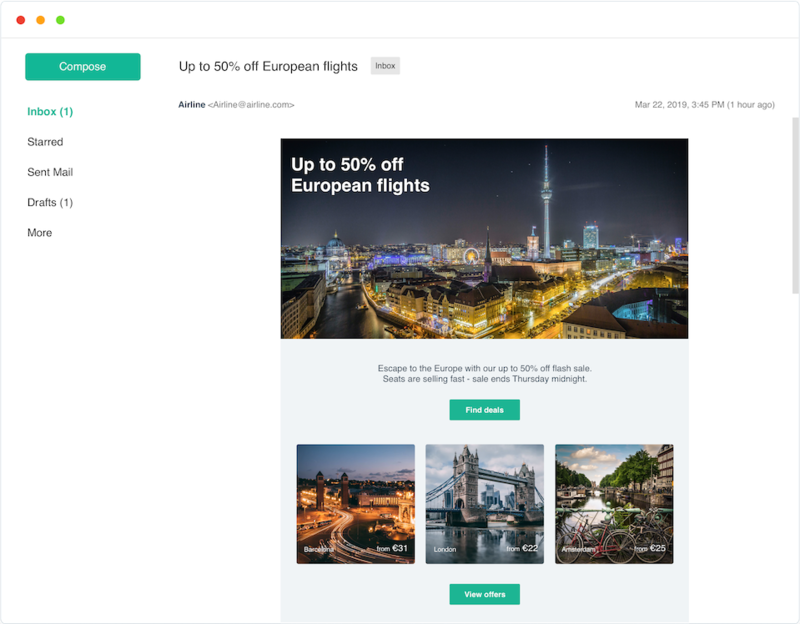 Email campaigns are currently available as part of our Early Access program. To have this feature enabled for your app, contact your CSM at support@swrve.com. Saved templates – Select your template from a library of previously created templates. Layouts – Select from a Swrve library of predefined layouts to add content in a structured way. Previous email campaigns – Reuse the content from emails that you built and sent using Swrve email. Upload HTML – Specify your email content using HTML defined elsewhere. For more information about creating and managing your Swrve Email templates, see Creating and managing email templates. Email campaigns – Contact your CSM at support@swrve.com. They will configure and activate the required email connector (for example, SendGrid) and enable the new campaign workflow in your Swrve dashboard. Templates – To send a template-based email, you must first set up the template in the associated third-party system. The template is then available to select when setting up your email campaign. Create a new campaign in the Swrve Campaign center. For more information, see Campaign overview and channels. Add content to your Swrve email or third-party email campaign. For more information, see Content for Swrve email and Adding campaign content. View results and reports for your campaign. For more information, see Email and SMS campaign reports. Manage your campaigns in the Swrve Campaign center. For more information, see Managing your campaigns.